Ship Ahoy! 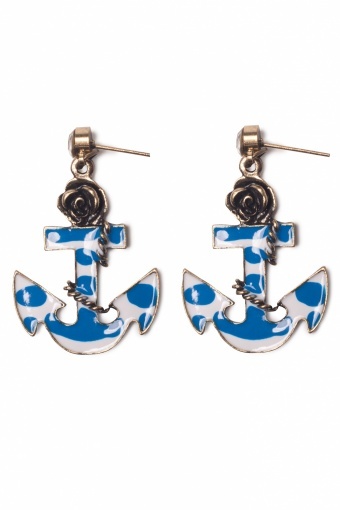 Anchor & Rose earrings. 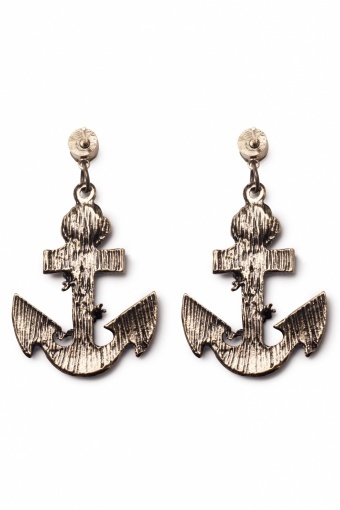 Supercute earrings with anchor pendants. The anchors are enameled in fresh navy and white and carry a sweet little vintage rose on top. Decorated with a sparkling faceted rhinestone. Essential in this summers wardrobe!